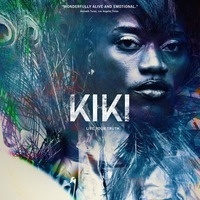 As a rapid response action to the Trump administration proposal to erase transgender rights, RISD FAV is hosting a special screening of KIKI , a film by FAV faculty member Sara Jordenö and Twiggy Pucci Garcon. Jordenö and star Gia Love will speak after the screening. Love is a trans woman of color, an incredible speaker and an inspiring leader in the NYC community. This will be a Seventh Art Stand screening recognizing the important role that collective cinema experiences have in igniting public dialogue and creative action. This event is co-sponsored by the Office of Social Equity & Inclusion, Academic Affairs, the divisions of Fine Arts and Liberal Arts, the Photography department, Brown Modern Culture and Media and the Malcolm S. Forbes Center for Culture and Media Studies.